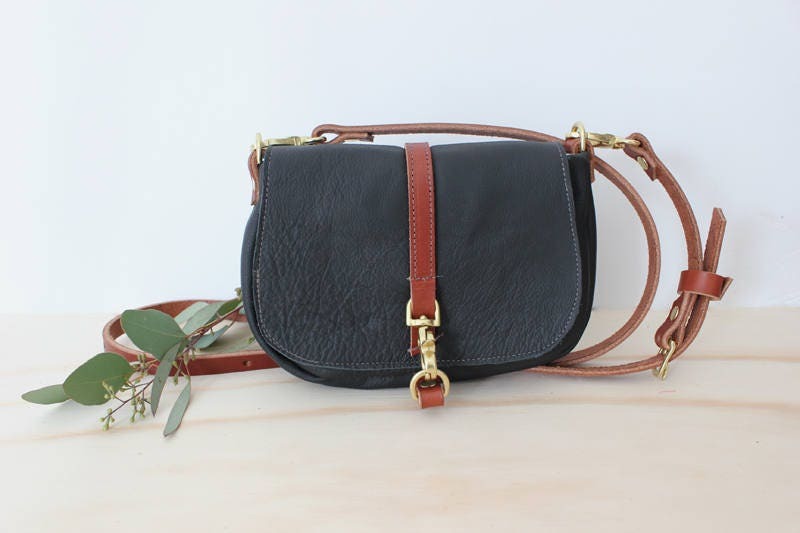 This JADE petite crossbody bag is made from reclaimed black leather with an organic cotton/recycle hemp fabric lining. Fully adjustable and removable strap. Raw edge flap closure with solid brass clasp front. Strap hang: adjustable from 17" to 25.5"